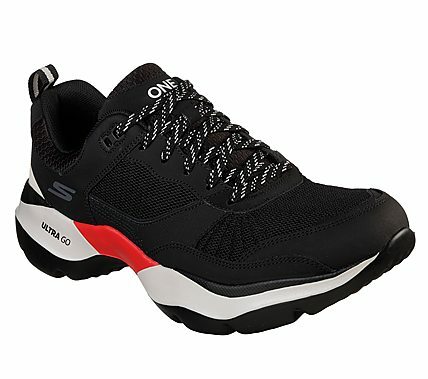 Put your comfort and style on a different wavelength with the ONE by Skechers Vibe Ultra shoe. Features lightweight, responsive ULTRA GO cushioning and Air Cooled Goga Mat® insole or the ultimate in walking comfort. Mesh fabric and soft suede upper in a lace up casual comfort walking sneaker with well cushioned midsole.